Sharks are a group of fishes characterized by a cartilaginous skeleton, five to seven gill slits on the sides of the head, and pectoral fins that are not fused to the head. Since that time, sharks have diversified into over 400 species. Despite its size, the whale shark feeds only on plankton, squid, and small fish by filter feeding. Sharks are found in all seas and are common down to depths of 2,000 meters (6,600 ft). They generally do not live in freshwater although there are a few known exceptions, such as the bull shark and the river shark that can survive in both seawater and freshwater. They breathe through five to seven gill slits. Sharks have a covering of dermal denticles that protects their skin from damage and parasites in addition to improving their fluid dynamics. They also have several sets of replaceable teeth. Well-known species such as the great white shark, tiger shark, blue shark, mako shark, and the hammerhead shark are apex predators—organisms at the top of their underwater food chain. Their predatory skill fascinates and frightens humans, even though their survival is threatened by human-related activities. 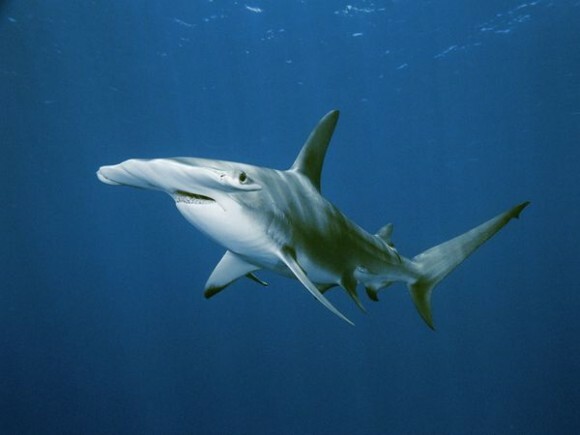 In this post I will share you 5 most unbelievable sharks around the earth.